Have a royally good time as you dance like a princess and a pop star learning ballet, jazz, and hip hop. We will explore various Disney and Kidz Bop songs that will give your Prince or Princesses a chance to express their inner pop star through dance, crafts, reenacting, and dress-up. This camp is designed for the recreational dancer (with little to no dance experience) looking for a great summer camp filled with the different style of hip hop dancing to upbeat and current music. This week of dance will include dancing, singing or lip syncing using current pop culture routines to popular songs. This camp will include jazz, hip hop and creative moves.Your dancer will also enjoy making crafts and costumes to complete the weeks theme. Join this fun and exciting camp as we explore various popular Disney Movies including Moana, Frozen, Rapunzel, Lion King, Aladdin and more. Campers will explore these movies through dance, song, rafts, storytelling, dress up and more. Join us for a spirit filled dance and cheer camp! Learn the latest cheer techniques and choreography. 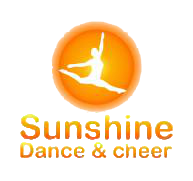 This camp is great for both the aspiring or experienced cheerleader or dance team member. Dancers will learn cheer and dance technique , performance skills, how to use pom poms, and have fun make creative cheer crafts. Join this fun and exciting camp as we explore the popular move Trolls. Campers will explore this exciting and creative movie through dance, song, crafts, storytelling, dress up and more.